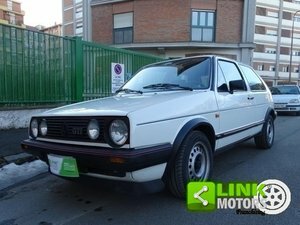 In 1989 Volkswagen UK decided to be involved in British Rally Sport, and certainly two cars are known to have been imported based on the already homologated Golf Rallye built at the VW plant in Belgium. 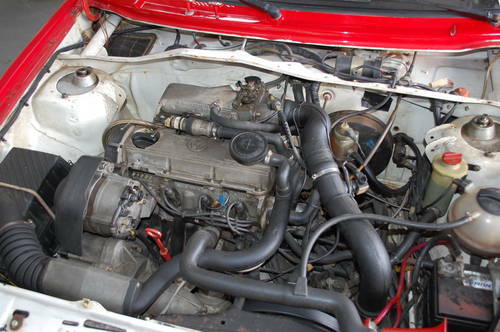 One car, supported by VW UK was supplied to Gilders of Sheffield and prepared by Power Engineering of Uxbridge, registered G888 NWB, Vin WVWZZZ1GZLB010567, which was to be driven by the late Mark Lovell in the 1990 season. 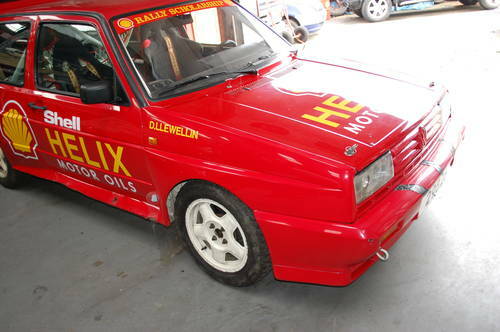 Following retirement in 1990, at the beginning of 1991, the Rallye was re-introduced to the world of rallying in support of the newly introduced Rally Scholarship scheme, sponsored by Shell, the car was repainted in Shell Helix colours with David Llewellin as the named driver, although not competed as such, it was used to publicise the Shell Rally Scholarship. 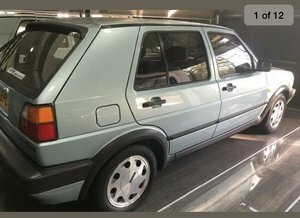 Following this, the Rallye was in the collection of John Mulholland in Northern Ireland, from where it was purchased by the current owner in 1994. 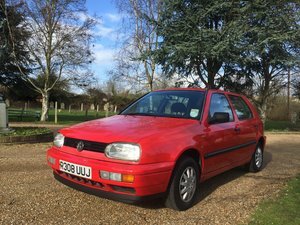 To date, it is as it was in 1991, having covered only 8975 miles in total, it is probably the most original and unaltered works supported Golf Rallye of the period, having been never restored, but sharing many common features with the Gilders Rallye. 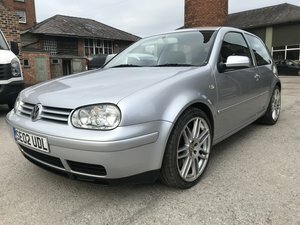 Technically it was delivered as a Golf V60 Rallye with the 1764 cc supercharged engine slightly downsized from the production 1781 engine to allow for its entry in the under 3000cc class. It carried the standard five speed gearbox, the 1764 cc supercharged engine driving through the four-wheel drive transmission. Following SBG’s preparation, this car carried the same Revolution five-spoke wheels and roll cage which appear to be the same in origin as the Gilders car. All the form-follows-function messages are present: external fire extinguisher and electrical cut-offs, bonnet pins, sturdy strong wheels, wheel studs instead of bolts, stickers for number plates for lightness, jacking point apertures in the sills, oversized mud flaps, large CB radio aerial in the middle of the roof – as well as an interior dominated by the white roll cage, a pair of bucket seats and harnesses. The rear wiper had gone and the boot lock too. 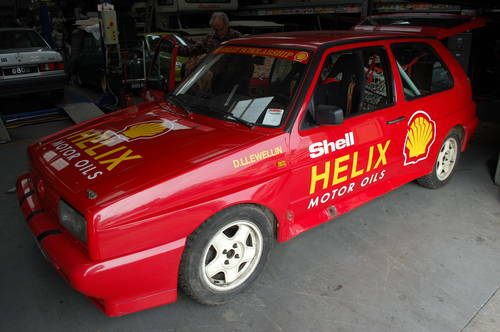 Records from a July 1991 show that in a ‘Shell Scholarship’ interview with Steve Black revealed more: ‘SBG Sport built the Shell Oils Group N Golf Rallye, which was only driven once before the project was shelved. 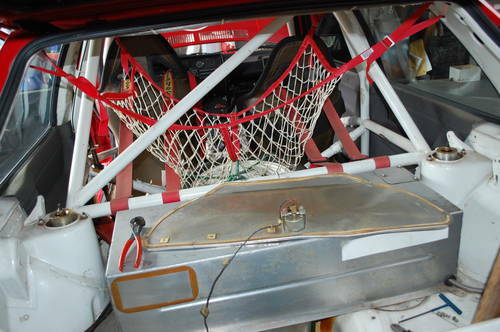 Outperformed by the Ford Cosworth and others, the Rally found a new lease of life promoting motor sport rather than competing. 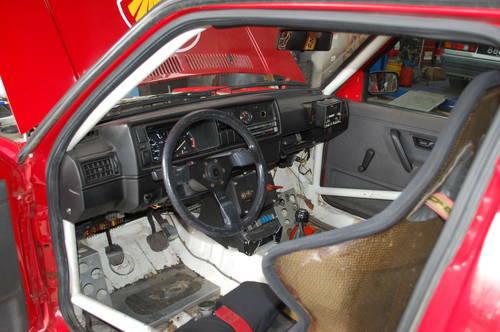 The construction is superb , being specially prepared for competition, even the Rallye-specific sills are welded on the visible outer vertical seams and where they join the upper sills on the kick plates. 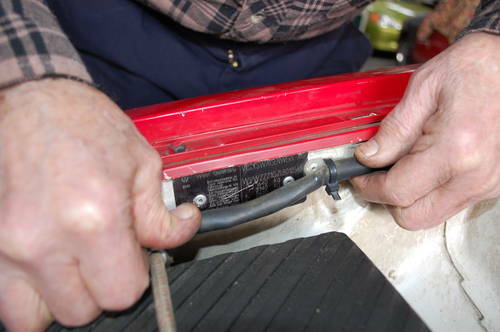 Critical bolts on the rear differential are lock-wired to prevent them coming loose. With lightweight ‘Allen’ bolts installed wherever possible, and a boot space dominated by the aluminium shrouding of that fuel tank it’s clear that this was very professionally built, and remains unmolested. Powered by the original 1H005680 numbered engine, it very really put in appearance at Race Retro recently, having been serviced by its 70 years young engineer owner, accompanied by his granddaughter it travelled to the Midlands and back in classic style.  For sale with the documented history, MSA logbook, we believe that the original registration number could be re-applied for, and a choice for the next keeper to admire or use once again in historic rallying events to which it would be very welcome.